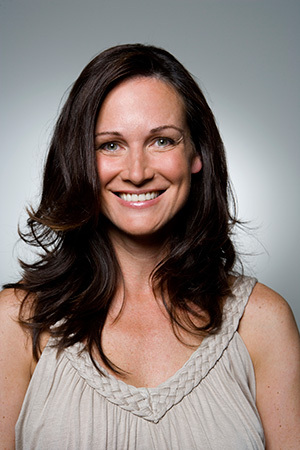 Dr. Angie Rhodes knows how important it is to have an attractive smile. We offer different options to help you achieve your dream smile that you are proud to show off. Cosmetic dentistry at our practice focuses on eliminating the appearance of chips or cracked teeth, rebuilding teeth, brightening your smile and more. If you are looking to correct minor imperfections, tooth bonding might be the right option for you. Bonding can cover chips, cracks and can even correct minor malalignment and gaps between teeth. The procedure results in a natural and beautiful smile. The process is quick and painless and requires the application of a tooth-colored bonding resin to the surface of your teeth. Tooth contouring and reshaping enable Dr. Rhodes to make minor changes that can result in major improvements to your smile. This chair-side procedure involves removing a small amount of enamel to sculpt the tooth. This technique can alter the surface, shape or length of a tooth. Dr. Rhodes will help you choose the ideal approach for your smile. We are happy to offer effective and affordable teeth whitening at Dr. Rhodes’ office. For just $99, you can have a high-quality system that delivers excellent results at home. Teeth whitening is a painless, quick and safe method of removing stains on your teeth that are caused by many of the foods we eat and beverages we drink daily. The whitening gel allows you to get professional whitening results at your convenience at home. We offer custom take-home bleaching trays to gradually whiten teeth over a short period of time.